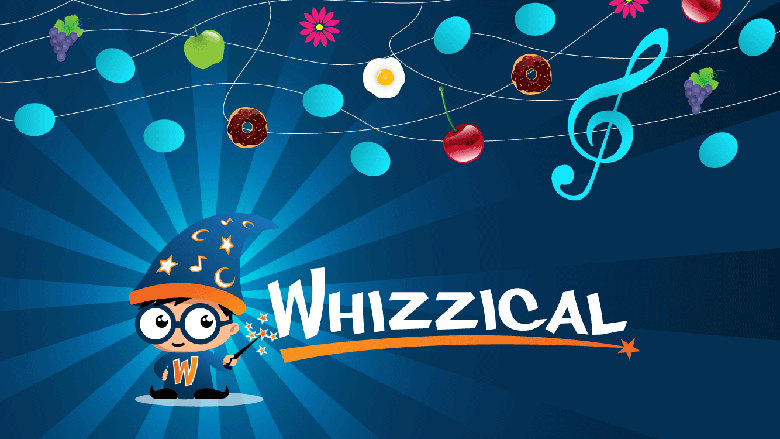 Whizzlings is a music app available on Android and iOS. It is a great app for children. Children would love to learn piano on this app. 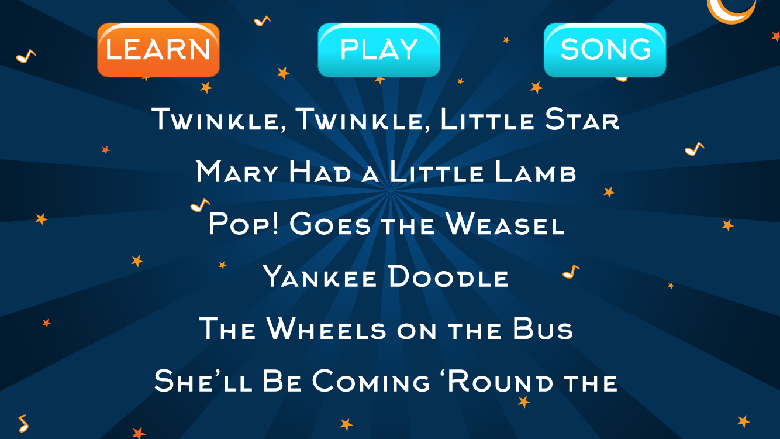 Its an app for Pre-K children to have fun while learning music. They have been provided with an exciting and fun environment for learning music. 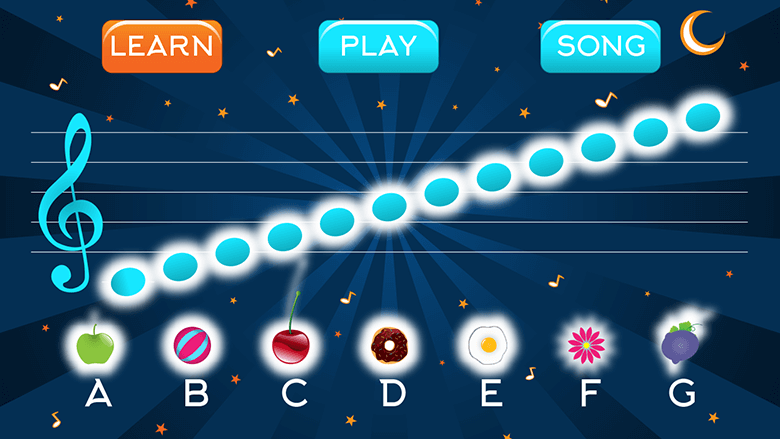 Learn: Kids can learn the notes and relate to them visually with fruits and note-heads. Play: In the Play Page, kids can play with the notes and get hints to place the correct notes at correct place (which they learned in learn page). Song: In the Song Page, after they complete 2 stanzas the whole song is played as a reward for them. CodeMyMobile created better than expected. An interactive game for kids with rich colors and UI. Kids using the Whizzlings app learn music 2X faster than others. 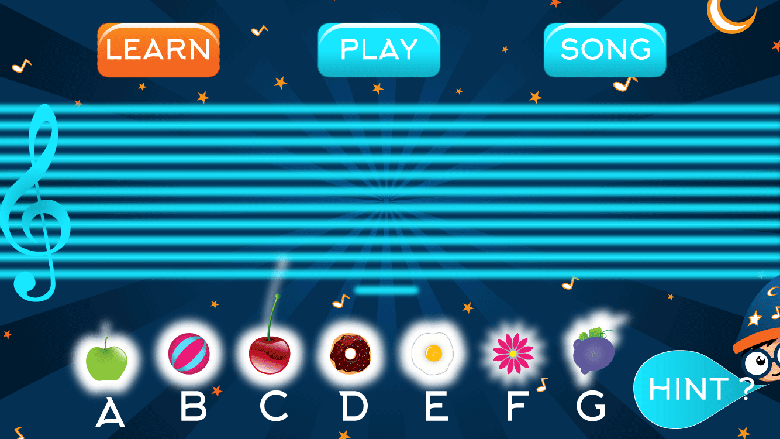 Whizzlings is a great app for kids to learn piano.